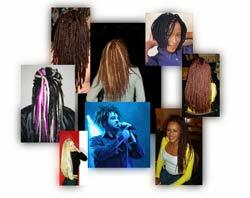 Check out other Dreadlocks Sites! Some of my favorite dreadlocks sites are listed below. Do you know of a cool dreadlocks site that is not listed? If use the Suggest a Site link on the right to let me know about the site you like. We also like to trade links with other sites. If you are interested in trading links you can use the code at the bottom of this page to add a link to this site. After you add a link to this site please use the Suggest a Site link on the right to let me know and I will link back to your site. www.PerfectDreadlocks.com-Informative dreadlocks site with many methods for making dreadlocks and dreadlocks products reviews. www.howtodread.com-this site is full of dreadlocks pictures and explains how to make dreadlocks with different methods.